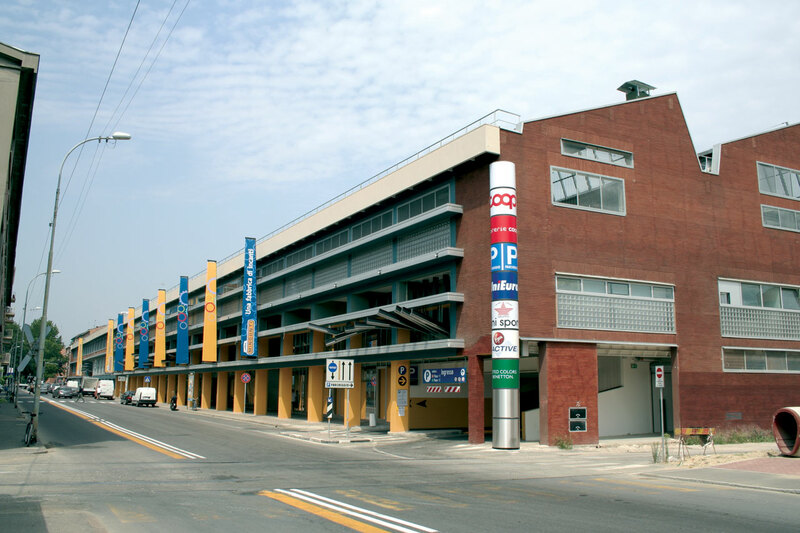 The site is an ex factory in the Bolognina area, and represents an important landmark both historically and urbanistically. Minganti manufactured steel goods first, and then turned to the production of industrial machines itself. The building was designed by F. Santini in 1958 and has driver the development of the area. Subsequent renovations have undoubtedly influenced the quarter in its historical memory. Open Project redesigned the factory into a shopping centre without erasing this memory, but integrating it further in the fabric of the city. The scheme has won the “Plaza Retail Future Project” at the 2005 MAPIC as the best retail regeneration scheme.